This sword belongs to regular saku ranking. The blade is polished . Blade length : 31.3 cm or 12.32 inches. Width at the hamachi : 2.82 cm or 1.11 inches. Kasane : 0.45 cm or 0.17 inches. Era : early Edo period, around Genwa era. 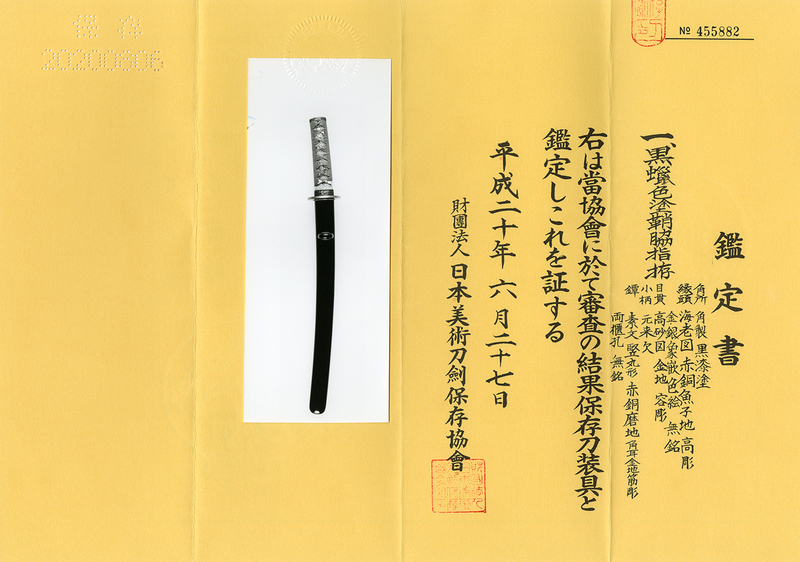 Shape : This blade is regular size Hirazukuri style Wakizashi. Jitetsu : Itame-hada Nagare style with Jinie attach. Shirake Utsuri appear on surface of the blade. Hamon : Koniedeki-Suguha with Uchinoke and double Ha mixed. 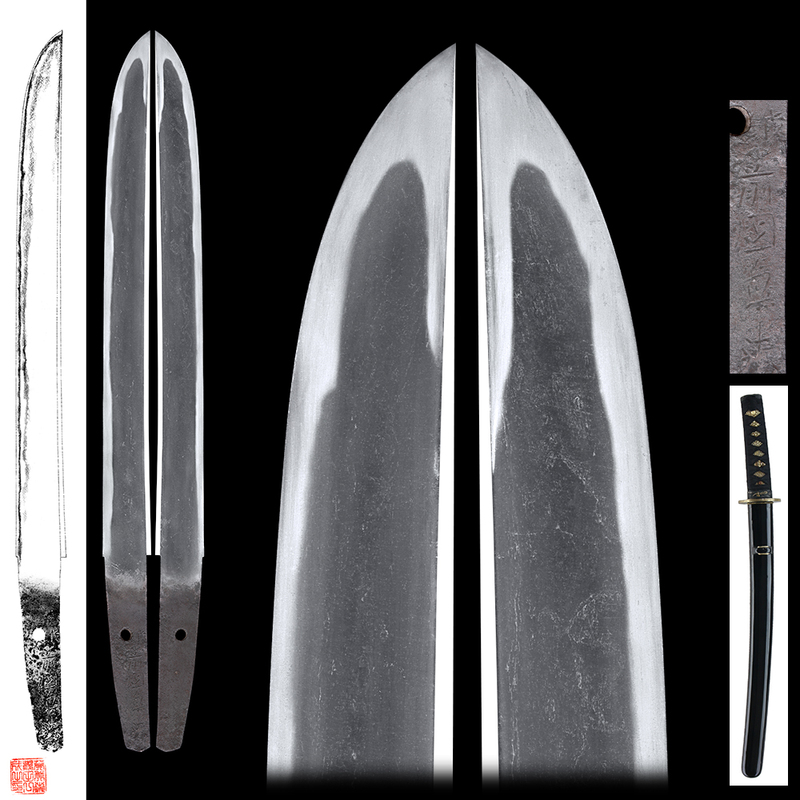 Special feature : Kanenori is a swordsmith active at early Edo period. The blade forged by him were mainly Koniedeki Suguha. But the Koshirae is good. Tsuba : Shakudo round Tsuba. And rim is lined and colored with gold color. on Shakudo Nanakoji plate with gold color Iroe, inlaid with gold and silver. Menuki : People acting as Shite and Ture, from traditional Noh play ‘Takasago’ engraved on solid gold plate.